This morning was the first day of trying to transport the new shovel. Everything worked out well! 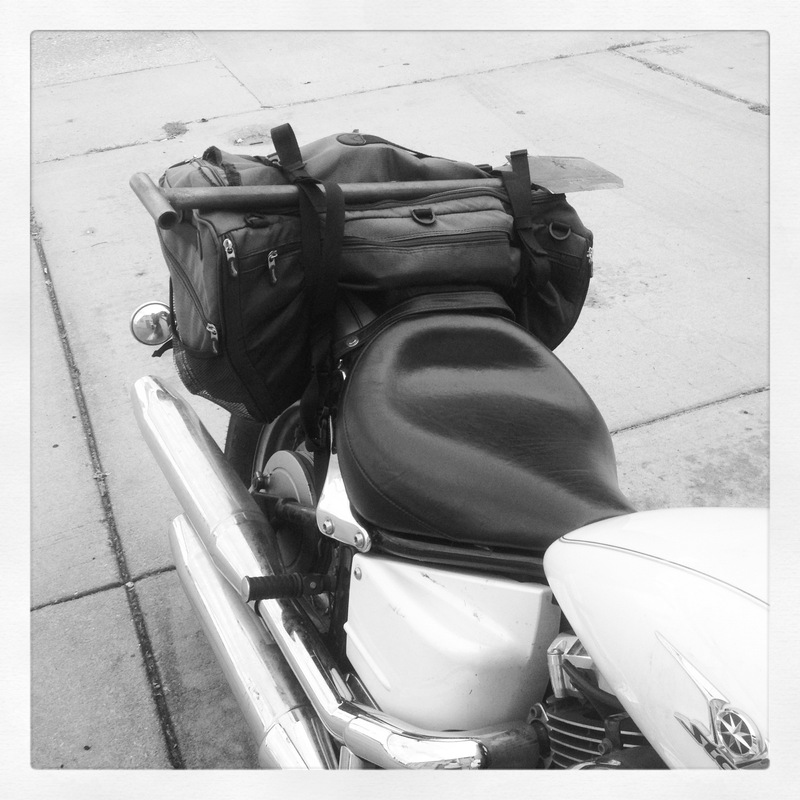 The Saddleman bag works quite well. However I am quite disappointed in the build quality. The material is fraying around the zippers and it is fading extremely fast due to UV. I revert back to my earlier posts where I mentioned internal support and a rain cover. It still amazes me that this bag can fit all of the following though. This makes me happy because both motorcycling and metal detecting keep me calm and sane! If I was trapped inside all day and only driving a car my mind wouldn’t be the same!